NOAA Asks Fishermen to Release Makos – Ya Like Dags? Mako being released from a longline. Image from Underwater Times (underwatertimes.com). 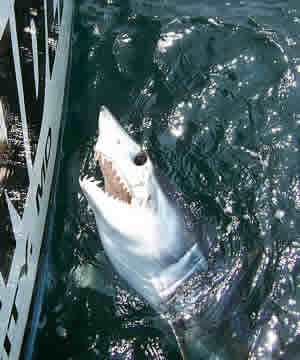 NOAA/NMFS has released a statement asking commercial fishermen to release mako sharks caught alive. They also ask that fishermen report where the makos are released so they can update their information on mako movements and distribution. The reason for this is that stock assessment research has suggested that makos are in decline for some time, and while more information is needed, they want to encourage fishermen to be cautious about harvest rate of these sharks. Interestingly, as of right now there are no real standards for the management of makos. The size limits currently imposed by NMFS are significantly below the size at maturity for both males and females, never a recipe for effective management. Here’s hoping that whatever information gained from this volunteer program leads to responsible management of these amazing sharks, ensuring that in future generations seafood fans, fishermen, and shark nerds alike can enjoy them. Reproduction: Secret Weapon of the Dogfish?